CAPS - By Hubert Crowell. CAPS (CAve maPS) is software for Windows. Easy to use, map is drawn as data is entered. Sides drawn and detail rooms drawn with spray shots. Pictures, notes and station details shown by clicking on map near stations. Explore mode allows you to create a game exploring your cave by clicking on Hot Spots within pictures taken in the cave. 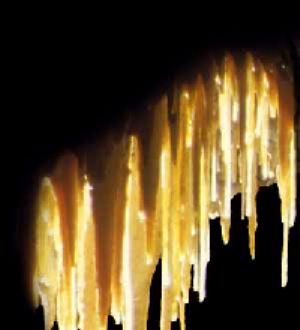 CaveRender - aus Jochen Hartig. CaveRender eine Entwicklung der DAV Höhlengruppe Frankfurt/Main und ist urheberrechtlich geschützt. Die Weitergabe und Benutzung der Vollversion ist gegen einen Kostenbeitrag von 10 DM pro Kopie erlaubt. Registrierte Benutzer erhalten regelmäßig Updateinformationen und Hilfe bei Problemen. Kommerzieller Einsatz bzw. Verkauf ist nicht gestattet. Erfahrungen, Verbesserungsvorschläge und Darstellungsprobleme bitte zwecks Weiterentwicklung zugänglich machen. Compass - by Larry Fish. COMPASS is a software package designed to edit, process, analyze and view cave survey data using an IBM PC compatible computer. 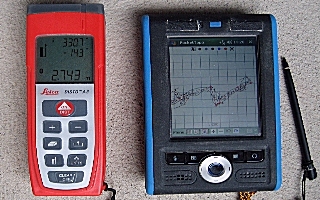 The programs in the system allow you to enter cave data, revise the data, generate statistics on the cave, close loops, view plots from various angles on the screen and finally, print finished quality plots on almost any of dot matrix, laser, ink jet printer and a variety of line plotters. Survex - by Olly Betts. Survex is multi-platform, freeware, cave-surveying software. It has been designed, rather than simply written, and is based on a certain philosophy. This article explains how the software came to be, its intended purpose, what it can do at the time of writing (early 1997), and the direction of future developments. Walls - by Dave McKenzie, Walls is a Windows-based program designed to help cave surveyors organize their data and prepare maps for publication. The mainframe-based precursor of Walls, Ellipse, supported those same projects in the 70s and 80s. The programs features have been in place since early 1994 and are documented in the program's help file. These include data entry and verification via an integrated text editor, grouping of surveys into hierarchical project trees, displayed or printed maps with coloring and annotation based on named vector and station attributes, and import/export capabilities. Toporobot - aus Martin Heller. Toporobot ist ein in der Schweiz entwickeltes Computerprogramm zur Auswertung von Höhlenvermessungsdaten. Es erleichtert die Arbeit bei der Planerstellung wesentlich und bietet Darstellungsmöglichkeiten, die ohne EDV-Unterstützung undenkbar wären. Daneben ist Toporobot auch eine vereinheitlichte Vermessungsnotation, welche sowohl die automatisierte Auswertung ermöglicht, als auch das praktische Vorgehen in der Höhle vereinfacht. Die Toporobot-Methode bewährt sich seit Jahren auf zahlreichen Expeditionen und ist inzwischen weitverbreitet. Carto by Ralph Hartley, is a tool for making cave maps. Carto has two main parts. One is a mechanism for warping digitized sketches to fit the survey data, and combining them to form a composite. The other is a CAD program designed specifically for drawing cave maps. Auriga Auriga is a cave survey freeware for PDAs (Personal Digital Assistants) running under Palm OS. Auriga is designed for in-cave use as a smart survey notebook: as the survey goes, Auriga displays the line plot in graphical form, reports statistics, helps spot and fix survey errors and assists in sketching to scale. Paperless Cave Surveying with DestoX Learn how to order the parts and build your own. National Speleological Society Welcome to the National Speleological Society (NSS)! 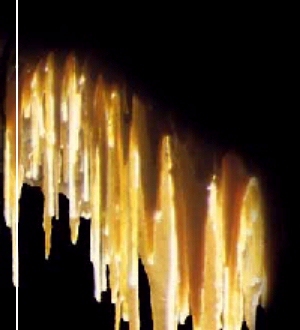 With over 12,000 members and 200 grottos, the National Speleological Society does more than any other organization to study, explore, and conserve cave and karst resources; protect access to caves; encourage responsible management of caves and their unique environments; and promote responsible caving. Georgia Speleological Survey The Georgia Speleological Survey (GSS) is an archival organization for the exploration, documentation, and study of caves in Georgia (USA). In 1997 the International Union of Speleology (UIS) published the official list of cave map symbols. Download a PDF version here!